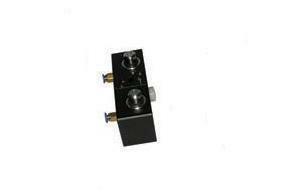 It is ISO standard selectatec compatiable mounting bar, it is used on the anesthesia machine. The anesthesia vaporizer will be put on it directly. The input port and output port is on the back, and there is 3 screws to install it from the back on the board.